Lucy the giraffe - a much-loved resident of Singapore Zoo - died while giving birth on Tuesday evening. Wildlife Reserves Singapore (WRS), which manages the zoo, said in a Facebook post on Monday that 14-year-old Lucy had gone into labor over the weekend and that things did not go smoothly. A day later, Lucy's care team decided to sedate her and extract the fetus, a procedure WRS described as "complex and fraught with risks". WRS said Lucy had been in labor for more than 48 hours but was unable to deliver the calf. The zoo's veterinarians determined that the calf's chance of survival was "near zero". As other dangers would arise for Lucy if the calf could not be expelled, "our vets made the decision to extract the fetus and focus on saving Lucy. Unfortunately, Lucy suffered a cardiac arrest during the procedure". The calf also "did not make it". Lucy was confirmed to be pregnant with her first calf in April last year. A giraffe's gestation takes about 15 months and Lucy had been expected to give birth in January. 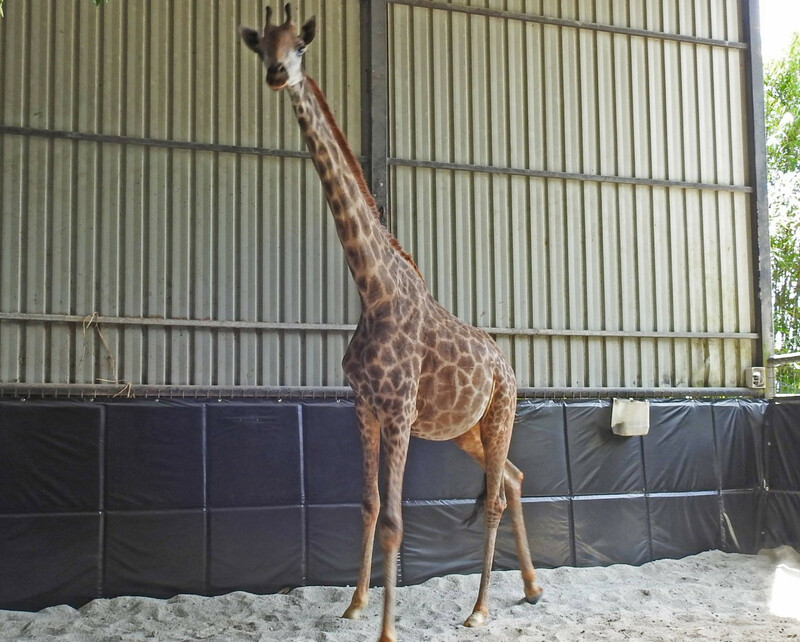 Originally from The Tisch Family Zoological Gardens in Israel, Lucy was brought to Singapore by ship on a 16-day voyage in 2005 together with another female giraffe named Roni, who died in April 2017. She had shared her enclosure with the zoo's two remaining giraffes, Lucy's 14-year-old mate Marco, who was previously known as Growie, and Jubilee, a male giraffe born in 2015 to Marco and Roni. WRS said in its post: "All of us at WRS would like to show our appreciation and support for Lucy's care team for their dedication, love and care they provided to Lucy. Our hearts are with them during this hard time." Last year, the zoo also lost another of its beloved animals, Inuka, Singapore's last polar bear. Inuka, who was 27, was put down on humane grounds on April 25 after his health deteriorated.